Shepherd of the Valley Rehabilitation and Wellness provides a continuum of care that bridges the gap from hospital to home. Whether you are in need of short-term rehabilitation or long-term care, our team works to help you recover and return home. We want to empower you to meet your goals and regain your quality of life. 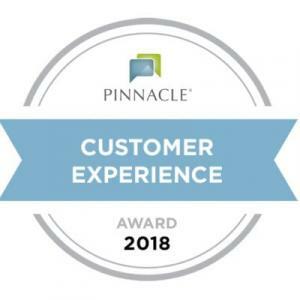 We are honored to have received the Pinnacle Customer Experience Award for providing best-in-class senior healthcare services. Welcome to Shepherd of the Valley, located in a quiet neighborhood near the Paradise Valley Country Club in Casper, WY. We are honored to serve our veterans who have given so much to our country. We are proud to have contracts with the Department of Veterans Affairs at our center. While we are not a federally-operated Veteran’s Home, this contracts allow qualifying veterans to receive long-term care services at our facility at no cost.